What is beauty? Irish philosophers have given many different answers. Berkeley suggested beauty was recognised by judgement and that a thing was “perfect in its kind when it answers the end for which it was made.” (Alciphron, p. 129). For Hutcheson, we have an innate sense that recognises beauty: where “there is Uniformity amidst Variety” (An Inquiry into the Original of Our Ideas of Beauty and Virtue, I. II. § III). For Hutcheson, theorems could have beauty (I. III. ), an idea that might have appealed to Boole. Boole was not a philosopher of aesthetics, but he did hope that his algebra could model the laws of thought and be used in testing arguments. A number of chapters in his Laws of Thought written in Cork do just that, testing propositions of Spinoza, Clarke and Aristotle among others. In Chapter XXII he muses on the attraction to philosophy of the concept of unity and the corresponding lure of dualism, which he notes was in his time mostly a concern of aesthetics (p. 322), “the ground of the application being contained in the formula of Augustine: ‘Omnis porro pulchritudinis forma, unitas est. '[Unity is the form of all Beauty]”. 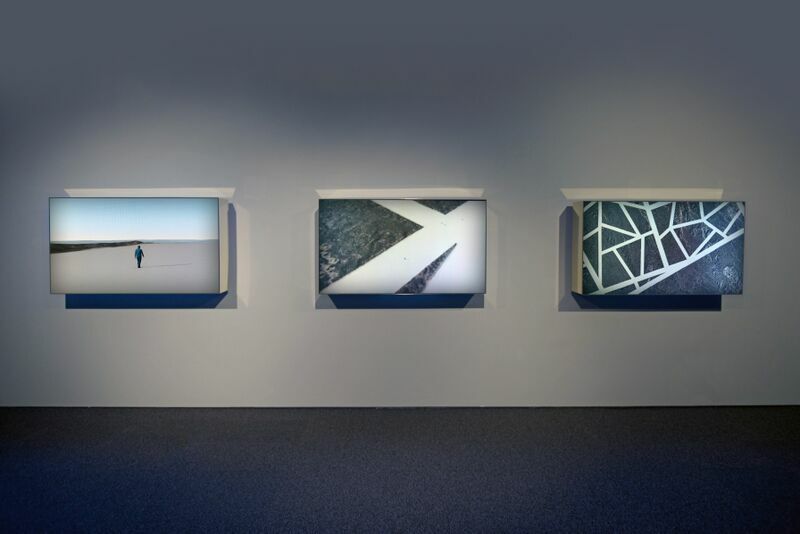 The work by John Gerrard uses digital simulation (“imitation of individual forms”) to create art. Developed in collaboration with Irish actor Conor Lovett, a specialist in Beckett’s theatre, performer Emmanuel Obeya, and dancer Esther Balfe, Exercise simulates human bodies that are “forlorn, comic and wonderfully mortal”, wandering around a desert-like landscape. In contrast, the body of work on display by the acclaimed Japanese artist Tatsuo Miyajima uses the ephemeral elements of the digital world in wall-based sculptures using a range of high-tech components. Inviting audiences to investigate ideas of Boolean algebra and the impact of ‘big data’ on contemporary life, the exhibition will show work by artists including John Gerrard, Darren Almond, Aram Bartholl, Mel Bochner, Hanne Darboven, Sol LeWitt, Tatsuo Miyajima, Aisling O’Beirn, Matthew Ritchie, and Lynne Woods Turner. Fiona Kearney, Director of the Lewis Glucksman Gallery, curated the exhibition in collaboration with the College of Science, Engineering and Food Science at UCC.